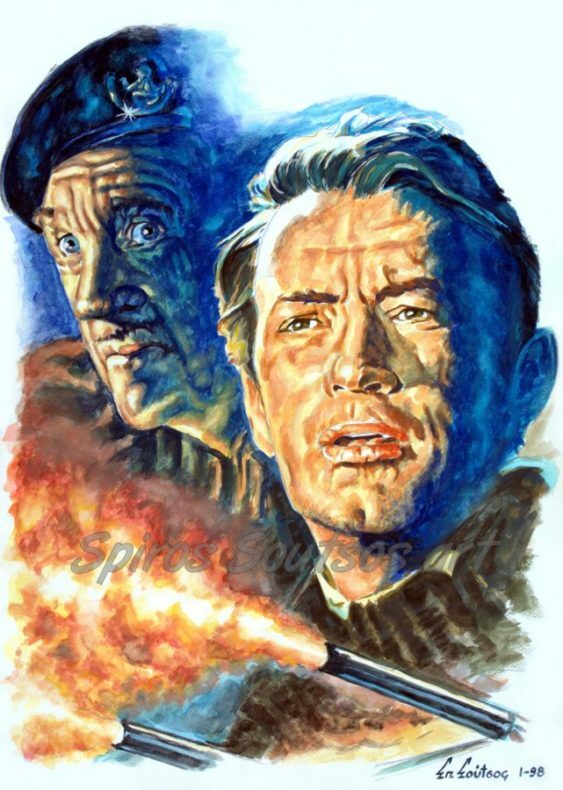 The Guns of Navarone (1961) is a classic British-American epic adventure war film directed by J. Lee Thompson. The screenplay by producer Carl Foreman was based on Alistair MacLean‘s 1957 novel The Guns of Navarone, which was inspired by the Battle of Leros during the Dodecanese Campaign of World War II. The film stars Gregory Peck, David Niven and Anthony Quinn, along with Stanley Baker and Anthony Quayle. The book and the film share the same basic plot: the efforts of an Allied commando team to destroy a seemingly impregnable German fortress that threatens Allied naval ships in the Aegean Sea, and prevents 2,000 isolated British troops from being rescued. This classic film was part of a cycle of huge-budget World War II film productions that included The Bridge on the River Kwai (1957), The Longest Day (1962) and The Great Escape (1963). The screenplay, adapted by producer Carl Foreman, made significant changes from the novel The Guns of Navarone by Alistair MacLean.